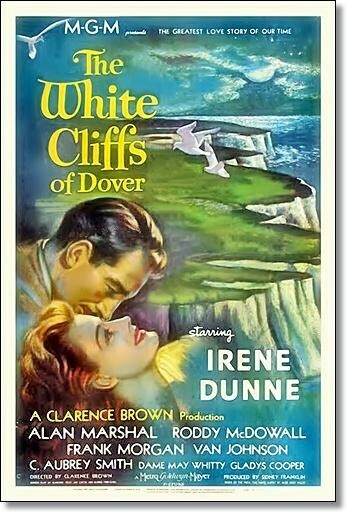 — Irene Dunne in her favorite film role (I concur) 1944’s THE WHITE CLIFFS OF DOVER, set in a world at war, fighting to end future wars. Hoping the sacrifice of young lives would end there. –In Aldo Lado’s surprisingly haunting and still relevant 1971 film… SHORT NIGHT OF THE GLASS DOLLS, written in a world beset with wars civil and colonial. I like those quotes. Good quotes from good films. With an election year upon us, I’m always mightily aware of politicians and posturing. And I’m always distinctly aware, I’ve heard it before. Every lie before they say it. A memorial of lies one might say. How about we try this crazy thing, instead of just remembering the ones who have died, always a worthy goal, let’s do our bit and reduce the number of people we send to join them this year, and next year, and the year after. How’s that for a worthy memorial to war? An end to all current and future war. An end to young people dying for the posturings of old people. Be those young people American, or Iranian, or Somalian, or Haitian, or Guatemalan…let’s consecrate ourselves to some new way, some better way, some civilized way… to live, that does not involve pitting our young people against each other in conflicts, real life Hunger Games, that they have not the slightest idea of why they are fighting. So I’m putting on the ballot a new way to fight wars… the big mouths in this country who have a problem with big mouths in another country, the congressmen, the owners of papers, the columnists, the heads of corporations, the religious zealots, and the talk radio idiots, everyone who is quick to have others kill and torture for them… you go fight the war. All in favor, raise your hand. 🙂 . Let’s let the 20 and 30 year olds stay home, eff their brains out, get back to some of that age of Aquarius loving (before the 80s came to get them on the ‘me’ kick), and let them run the country. And all you senators, all you justices, all you presidential candidates… you’ve had your time at bat, and you’ve made a perpetually regenerating and increasing mess of it…. so yeah you old, chairman of the board, want to be in charge f**ks, put on some fatigues, fill up that rucksack and you go fight the wars. But no remote control drone bombing raids, no satellite directed death from above, no weather modification toys, no dropping mines in playgrounds (what kind of animal signs off on that? You do my friends. With every tax dollar you pay and flag you wave. You do, when you say ‘yes sir’ to terms like war power acts, and patriot acts, and laughable misnomers like homeland security… you do, we do. We did. Not anymore), not even any nuclear subs or good old grunts on the ground. No, we don’t give you any of that to wage war with, none of your cowardly, expedient toys to turn countless people into your faceless collateral damage, instead just a cage match with you old, hateful, fat f**ks in a cage with other old, hateful, fat f**ks. We’ll give you some boxing gloves, maybe even a club or two, and you guys go at it. Work it out. Get along or kill each other, but either way, the world would be a lot better if you old manifest destiny, new world order, ‘woodrow wilson’ idolizing mfers would just die. Because honestly, you effers have had your day, and all we have seen since the industrial revolution, is more of the same. The rich few get richer, and the rest of the people and the planet, gets raped and used up until we are clinging to a burnt out dying ball of rock. What is the good of all your imagined power then you dumb f**ks?!! The world can’t afford doing the same insanity that got us here, to this point, and expecting a different result. In fact that’s the definition of insanity, trying the same thing, and expecting a different result. So give it to the young. The world… give it to the young. They might eff up, they might not. They might find a different way, a better way. They’ll at least fall down going forward, going toward something new, which is more than any of you old ingrained effers have done in the last century and a couple decades, of mounting genocide. Hell, maybe young people, devoid of you old people riding them to ensure they make your comfortable, beloved mistakes, they’ll even make a REAL democracy out of America, instead of a tyranny dressed as capitalism. And as far as you old dudes and dudettes, you seekers or power and despoilers of wisdom, when you die, which is sad but more than likely a probability, that whole ‘live by the sword, die by the sword’ thing, we’ll grill a hot-dog or hamburger to you on the next memorial day. There is a lot not to like about Aldo Lado’s debut film, SHORT NIGHT OF THE GLASS DOLLS. It’s a very rambling, chaotic, drawn out… and yes… boring viewing experience. It’s a very unsatisfying viewing experience. It’s marketed as a Giallo, but I think that description sets up expectations this film can not meet. What it is is a very subtle drama/mystery with only the merest trappings of the Giallo genre. That said there is something there. Something… more… to the film. It’s first of all beautifully filmed, with a haunting Morricone score. And writer and director Aldo Lado, has something to say… something profound, that stays with you long after the understated mystery is over. There’s a conversation about youth and old age, and the price of power, and how it is maintained, how empires are maintained that the movie engages in. A conversation that while 35+ years old, told in the age of Aquarius and dressed with theatrics, yet manages to remain timeless… and I feel… far too valid. And it’s a film filled with allusions, and allegories, tales of beautiful things that were born to fly… but do not. I was going to purge this film from my collection. Sell it. And I cannot… to anyone else recommend the movie, as anything more than an oddity. But after rewatching it, I think I want to keep it. For myself, I think it has, however oddly, much to say. And an oddly, addictive way… of saying it. It is the rare film, that… grows on you. And on top of that I just (as in the middle of this review) watched the Blue Underground/Anchor Bay interview with Aldo Ray that comes with this flick. Great stuff!! The interview is alternately laugh out loud funny and chill inducing. I have to change my vote and recommend this DVD. It will not appeal to everybody, especially the first time around, but live with it for a while, and if you’re a little like me, and perhaps a little like the mad director/writer Aldo Lado… it may end up appealing to you. Recommended. F’ing line, gave me chills. Hearing people speak truth to power, always does.